DCTV provides high quality custom training to members of companies and organizations who are looking to strengthen their skills and performance in media production. This training is specifically developed, tailored, and scheduled to fit the needs of you and your team (usually 2-12 participants). Who has trained at DCTV? We have designed and conducted custom private training for Firelight Media, the Intercept, Open Society Institute, Oxford University Press, Penguin and United Nations to name a few. 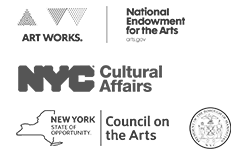 Founded in 1972, DCTV is an established media arts resource for NYC’s independent filmmaking community. DCTV provides workshops, production equipment rentals, post-production facilities, a signature screening and event series, renowned youth programming, and more – all under the same roof as its award-winning documentary production house. All income generated benefits DCTV’s not-for-profit programs. Trainings take place on-site at DCTV, a gothic landmark firehouse conveniently located in Tribeca/Chinatown. What is provided by DCTV? We provide the classroom, instructor, curriculum and reference materials, as well as all technical gear from high-end computers and software to professional production equipment. After training completion, all participants receive a complimentary DCTV Membership. Our Instructors are active media professionals who supplement our industry-standard curriculum with their personal experiences gained out in the field. How long does training take, and when can it be scheduled? Training can range in length from one day to over the course of several weeks depending on your needs. Custom Training is predominantly scheduled to take place on weekdays. What is the difference between Custom Training and DCTV Workshops? Custom Training is catered to the needs of you and your team in a private setting. Cost varies, and is confirmed by a contractual agreement and payment plan. DCTV Workshops is a low-cost public program for emerging artists with a set schedule and curriculum. We recommend booking your Custom Training at least one month in advance of your desired date/s. Please fill out the following form and we will be in touch with next steps. Thank you!